Even i never read webtoon. Oh yeah; it might be that oknam used to talk with deer i.e. the professor. But in past episodes fairy said that she married a human who was a simple woodcutter and not an immortal. And now when he again reborned he got magical powers? I cannot recall in which episode but Ok nam clearly said to Yi Hyun that her husband can talk to an animal (deer) and Yi Hyun answer with "maybe you mean with personification". And maybe this is the crucial thing that actually Ok Nam neglect that Kim Geum can speak with animal and plants. It is kind of Ok Nam's heart lean on Yi Hyun just based on what she wants to believe like the pee sound, Yi Hyun called Jeon Soon name, said sorry while dreaming compare to the fact that Kim Geum has a superpower and her daughter likes him. Did ok nam know that her hubby too can hear animals talk? Coz she always said he was a human!! But when she heard that Guem could hear animals she thought him as a fairy.. If she knew her hubby had same power then she would have thought him as a fairy too!! Still now I didn't see jeon seom getting involved with geum romantically!! Plus she knows he has feelings for her mom.. Soo falling for him would be a little.. She isn't leaning towards the present professor, she thinks of him as her hubby so she does that.. But ones she discovers that he isn't, I don't know what her feelings would be!! I m pretty much confused.. I don't want a love line between jeon seom n geumi..
Hi guys! I'm following this thread but this is the first time i comment. After watching 6 eps, i can say that this is drama of the year to me. Because i keep playing back the episodes . I think it helps also, because all questions that i had in my mind they all have the answer there. Its really fun and heart fluttering. For me, the funniest one is Jung Professor. He and Kim Geum both have chemistry with Ok Nam (and towards each other ) But im hoping for Kim Geum and Ok Nam. With some, the age gap is a problem, but to me it's not. whenever Kim Geum is with Ok Nam, it's so adorable, sincere and dreamy. I like him when he is Kim Geum and Pa Goon Sung. 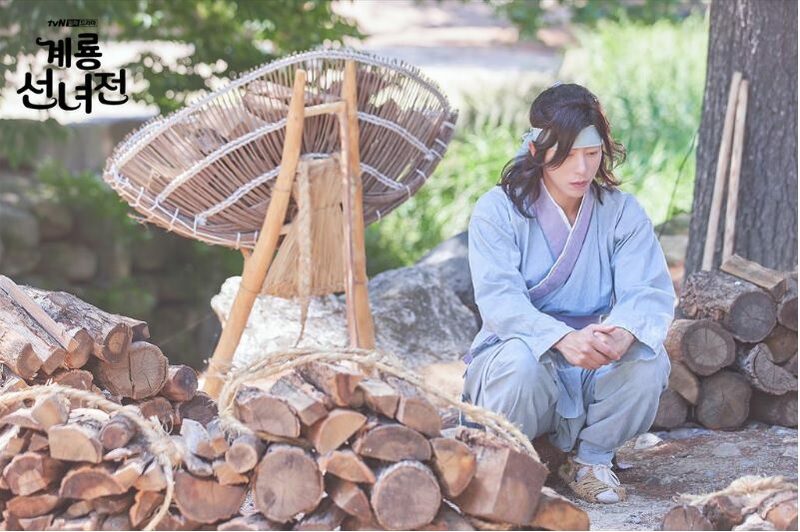 But not when he is a woodcutter (his face doesnt look like he got married already. and his body build, shouldnt him work out more? also the hair is a no no), but thats only about the look. Ive never had second lead syndrome and this time also, because already since the beginning, no one is supposed to be second lead, to me all 3 of them are the main. Kim Geum looks like 2nd lead doesnt make him a 2nd lead. He is something different from many male leads i see in Korean drama these days (he is warm from inside out, kind, caring, humble, closes with animals, got nothing to hide, and doesnt deny the curiousity and feeling for the girl at first, but he just goes with it. Just that innocent. He's a combo ) And the best thing is, Ok Nam shares same things with him, feels like their souls are in harmony. 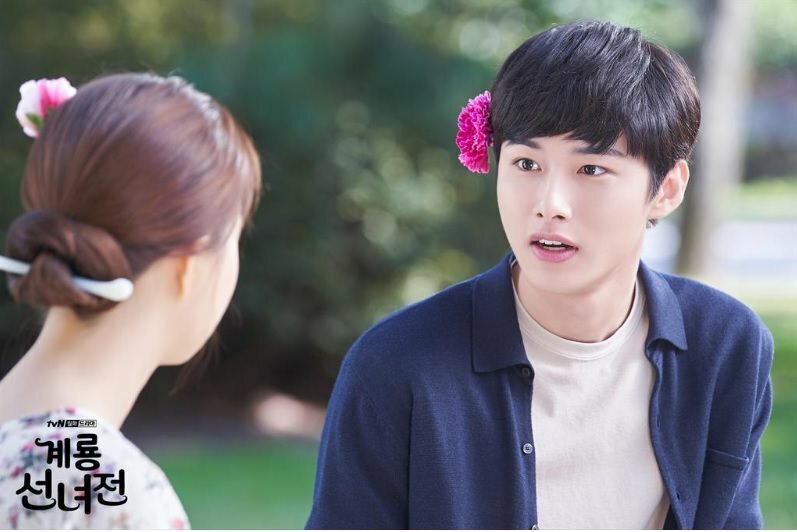 Whoever she will end up with is her (or i will say director's) choice, but if it was me, i will go all the way for Pa Goon Sung aka The woodcutter Ba Woo Sae aka Kim Geum. The one should stay with her is the one that match her in the soul, not the look anyway. P/s: i wonder why some ship Kim Geum with Jeom Soon. He is interested in the mother and might be her dad, isnt it weird to ship them together? @maggierose, it was in the earlier episodes before they revealed more of Kim Geum's background. Wow! That is a lot of pictures! Try to check at 2nd episode around minutes 50. Ok Nam describes her husband by her vision that has Yi Hyun's face to Yi Hyun when they have an appointment in the evening. So, it is clear that we see Yi Hyun face all this time as the husband based on Ok Nam preferences even though she said herself actually she cannot remember her husband face again. ans yes i agree with you. I cannot find any romantic linkage between jeom soon and kim kim. For me, it is always like a father spoiled his daughter. Ok let me check it out!! Yes they are like father n daughter duo.. She also mentioned in previous episode that whether ok nam likes kim guemi.. Jeon seom seems to be involved with that weird camera guy!! the﻿ first p﻿age there's a link to the webtoon. Since Kim Guemi realised that he had romantic relationship with Ok Nam at the end of last episode, will she also realise that he is the husband. Since she is a fairy she should be more powerful than KG isn't it? How come she just go with her inclination and his pee sound????? Ok, can somebody clear my doubt? What did the deer do exactly? Isnt it the one who asked the woodcutter to steal fairy's clothes? If deer is KH in last birth, how come we have not seen the deer's original form yet and why woodcutter is in KH form? Did they change their form on some mutual deal? 2019 Gyeryong Fairy calendar! so pretty! I like both couple YH-ON and KG-ON. Seems korean viewer so biased to KG more. Sorry im not clear but can anyone spoil me in the webtoon which pair is the main couple? I quite like the story progression and YH is such a tsundere. Hes started having a crush to fairy i think (always lingering in the coffee stall, so happy being asked for lunch even dancing back to the university lol). Like everyone mentioned ON is quite bias and have been from the start liking YH more. The 3 fairies actually a bit disruptive for me, and its not really linked to the main story. I hope the story can work a little faster and not having same flashback keep repeating. So far, as of episode 6, I think the drama is still sticking on the webtoon and I'm excited that more interesting scenes will surely happen in the next episodes! ...But does that mean because he's the first male lead, Proj Jung is the husband? No. It's actually Kim Geum. The woodcutter initially appeared as YHM because we are looking at Ok Nam's POV here because she believes he's her husband. But don't forget, she pointed out that she really can't remember the real face of her husband. She's basically leaning on what she initially witnessed, and sadly, turning a blind eye on everything about Geum. I really like how the webtoon writer broke the ordinary, because finally... it's a story that the second lead should get the girl! I just hope they will not change it in the drama, because webtoon fans really loved this twist! For the age difference of SJH and MCW, I hope we don't dwell much in that while watching the drama. Because technically, Sun Ok Nam in the drama is 699 years old, she's really way way way older than everyone else! hahaha. And Kim Geum is just right a few years younger than Prof Jung because he was his student. Kim Geum is really the youngest among them.